Payday loan is not a new term for someone living in Canada. The first payday loan storefront was opened in year 1995 and since the last decade this number has ever been growing. Payday advance is an easy cash advance that one can get quickly and easily at a set rate of interest from the payday lender. If you are among those people in Canada who live from their one paycheck to another then in case of emergency cash needs, you may seek help from payday lending companies. The top pros of payday loans are that a person can get quick access to money for a period of two to four weeks. The advance can be sanctioned in less than an hour’s time. There are a lot of people using payday loan to meet immediate cash needs and repay the amount as and when they get their next paycheck. Another pros of payday loans is that you can apply for it online and within matter of few minutes the amount is transferred into your account for immediate use. A person taking payday loan has gets two business working days after the sanctioning of the loan to decide whether he wants to use it or not. Due to these particular pros of payday loans, many people with jobs tend to take payday loans as they are easier to get and are unavoidable in unanticipated circumstances. 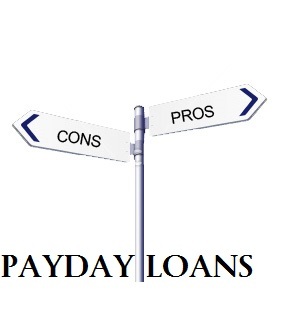 Apart from interesting pros of the payday loans, there are some cons of the same that prevent many people from taking payday loans. Also there are thousands of people in Canada alone that are trapped in payday loan debt circle because of its major cons. The rate of interest is so high that a person taking payday loans ends up paying more than 4 times of the original sum borrowed when calculated annually. Another drawback of the loan is that it is a short term loan and the borrower has to repay the amount completely along with the interest within a period of two to four weeks or on the date when their next paycheck is due. 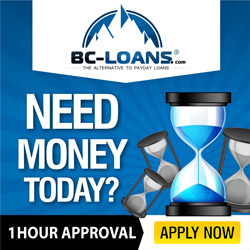 A payday loan is offered from 18-23% rate of interest in most of the provinces. The rate of interest is different and predetermined by the city province. So at a rate of interest of 23% a person borrowing 100 dollars will have to repay 123 dollars at the end of grant period. If this rate is calculated annually then the borrower will end up paying 390% or more of the original sum borrowed. There are some other cons of the payday advance, people who fail to repay the payday advance will only get extension of repaying period after they pay a fixed fees calculated and predetermined by the lender. He will not allow another advance to the same person until and unless he repays the old payday advance in full. Some lenders may cause harassment and abusive practices to collect the amount lent to the borrower in case he fails to repay it on the due date. So if you are those who frequently use payday advances or are thinking of using them, then you must know its pros and cons to decide what’s best for you.